One Energy is the largest installer of on-site wind energy in the United States. Vertically integrated and Midwest-based, One Energy develops, designs, constructs, owns, and operates on-site wind projects for large commercial and industrial facilities. We call our process Wind for Industry®. By consistently delivering quality projects and superior customer service, we’ve earned the long-term trust of world-class companies. We combine the necessary skills, expertise, and services to make some of the most advanced technology in the world available to businesses, and we do it in a manner unlike anything the industry has seen before. Learn more in the pages below. One Energy provides comprehensive wind solutions for our customers. We perform the necessary evaluations to determine if wind is right for your facility and provide the services to take a Wind Campus® project from concept to installation and all steps in between. View this page to see One Energy’s capabilities and areas of expertise. We believe we can fundamentally improve the power grid by delivering high-quality, low-cost, Wind for Industry® projects to industrial energy users. We believe we can accomplish this by adhering to our Values and that in accomplishing this we will set a New Standard for how companies like us operate. On this page, you’ll find an expanded version of each of our values and an explanation for what we mean when we set a New Standard. We are a group of brilliant agitators coming together because we believe there has to be a better way. We are a company where challenging everything about the way things are currently done is both encouraged and expected. Learn more about the collection of employees that make up One Energy. Because of our commitment to longevity, the North Findlay Wind Campus was built in a cost-effective, but purposeful and sustainable way that will allow us to be around for a long time. On this page, you’ll find out more about the environment we work in. One Energy helps manufacturers control their energy costs. Companies spend tens of billions of dollars on energy every year. Our market is huge and our barriers to entry are high. Visit this page for how to find information on current investment opportunities. 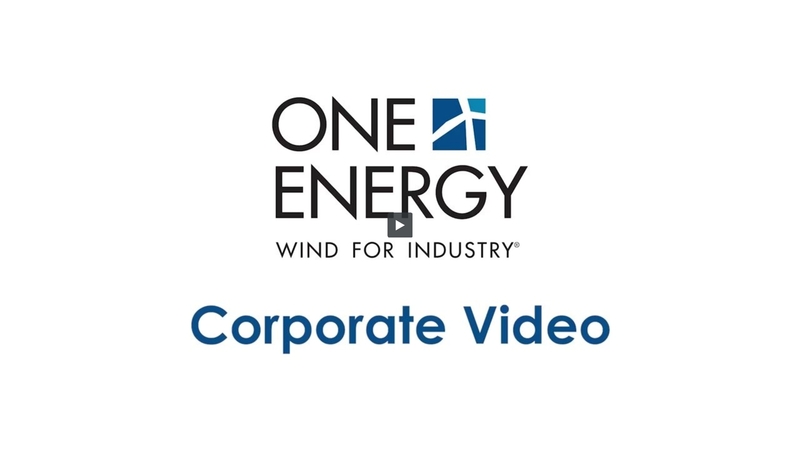 One Energy’s principal place of business is located in Findlay, Ohio, but we do business as One Energy LLC and One Energy throughout the United States. For the many ways to get a hold of us, view this page.